Herbalife Nutrition has existed for years and is quite popular but someone recently asked me about Herbalife being a potential pyramid scheme. Is it really so or just an attractive promotional strategy? Some of my followers have a deep interest in joining the Herbalife business opportunity but they are worried about its legitimacy. It’s important to go through an unbiased & honest Herbalife review prior to signing up but unfortunately it’s difficult to find any. Most of the reviews tend to follow a pre-determined agenda. Thankfully though if you have been considering joining Herbalife you cant rest assured that you’ve landed in the right place as I’ve took a closer look into it & in this review I’ll be uncovering everything you need to know as well as answering the big question – is Herbalife a pyramid scheme? Herbalife is a simple website that primarily features the soccer icon, Ronaldo in its nutrition advertisements. Many people on the internet call it a pyramid scheme but these claims mainly come from the paid links which try to propagate the program in an attempt to bring themselves in more subscribers. What I’ve found from my research is that Herbalife is a multi-level-marketing program and it’s been around around since 1980. The company mainly attracts nutrition conscious individuals. It deals in different health related products and attempts to sell these products through more and more distributors. In other words, with the popularity of the internet, Herbalife Nutrition tries to sell these products directly from the online store rather than setting up physical outlets. Over the years, the multi-level-marketing (MLM) strategy has served hundreds of companies by boosting online sales & basically the Herbalife website encourages its visitors to become independent distributors. In return, they offer an attractive package which includes different offers to compensate for the services of the distributors. As an independent distributor, you can earn either earn by promoting and selling products from Herbalife or you recruit more distributors and earn commissions in return. If you buy Herbalife products as a distributor, you’ll get 25% discount. This platform allows you to resell the same product at its original price so you’ll earn 25% profit. Making more sales will lift your ranking and better ranking leads to a higher commission percentage. But this alone doesn’t qualify Herbalife as a pyramid scheme. In the case of a pyramid scheme, investors are required and the people promoting it merely try to attract more and more investors. 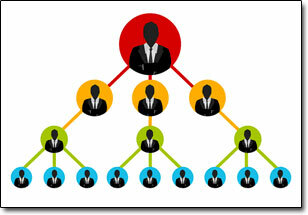 A pyramid scheme is solely focused on bringing in more investors rather than encouraging sales. So providing that people are actually buying the products based on the value they provide & they are not just purchasing them purely to earn money through the scheme then technically it’s legit. However if the primary reason people were signing up was just to earn money through the business opportunity then that’s when things would fall into pyramid scheme territory. As far as Herbalife is concerned, it mainly focuses on the sales of their health products. So it’s clear that it is not a pyramid scheme. The problem with pyramid schemes is that they are mainly focused on increasing the number of distributors by encouraging new recruitments but they don’t focus as much on sales promotion. In the case of Herbalife, sales are highly significant. A huge portion of Herbalife revenue comes from real sales so that is why it is a legitimate and lawful practice. 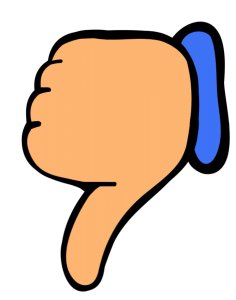 I’ve reviewed a number of schemes (such as MOBE which was recently shut down) which devise their strategy only to attract recruiters rather than encouraging more sales. Herbalife is NOT a Ponzi scheme for the reason that the platform is mainly following all the legal guidelines by making legitimate sales. They don’t try to trap the subscribers or force them to bring in more users through deceitful tactics. The company has been serving and doing well for the last three decades which adds to its credibility. Does It Pay Well To Be A Distributor? This is the big question and the most important point one must consider before joining the Herbalife multi-level-marketing program as a distributor. There is no doubt that you can earn from their offer in terms of commissions. But the level of earning mainly depends on your marketing skills. An experienced sales specialist can see this as a great opportunity but a person without any experience of marketing skills would have to think twice. For most of the recruiters, sadly things don’t happen as anticipated. Selling things – especially online – can be a tough task these days. Timing is also important because if you purchase a product at 25% discount, for how long could you keep it and what if it doesn’t sell? How many purchases could you afford whilst facing the risk of no sales for at least a couple of months? Then you need to consider the rankings. Only the recruiters at top levels have the opportunity of earning consistent income with better commission percentages. These factors are important before making a smart decision. If you are fairly confident of your skills then this Herbalife could prove lucrative for you, but if not you must understand that you could actually end up losing money rather than making it. My Verdict – Is Herbalife Nutrition a Scam? Herbalife scam claims are based on prejudice because it is a completely legitimate offer. There are no false claims made by the company, there is no cheating, there is no use of falsified “proof of income” screenshots and there is no misleading hyped-up promotional video boasting that you’ll be able to easily make lot’s of money. The company has been doing business since 1980 and its products are popular among nutrition conscious individuals. The best thing is that they don’t force distributors to bring in more members either like many typical network marketing companies. Instead distributors can make a fairly decent income by relying on sales commissions alone. However you should never underestimate the fact that online sales take time, effort and skill so don’t jump in blindly if you have reasons to doubt your skills and expertise. Whilst there is good opportunity to make money with Herbalife if you fail to promote it effectively you could actually end up losing money rather than making it so it’s important to tread carefully. Personally though I am against network marketing companies as a whole because the industry has a very low success rate, so despite coming to the conclusion that Herbalife is not a pyramid scheme I still won’t be recommending it to you as I believe that there are better, less risky ways to make money online. Is Bitfinite a Scam? Read My Review Before Investing Any Money! Is FundsPay a Scam? Read My Honest Review Before Investing Anything!